The ultimate in cold weather riding gear. 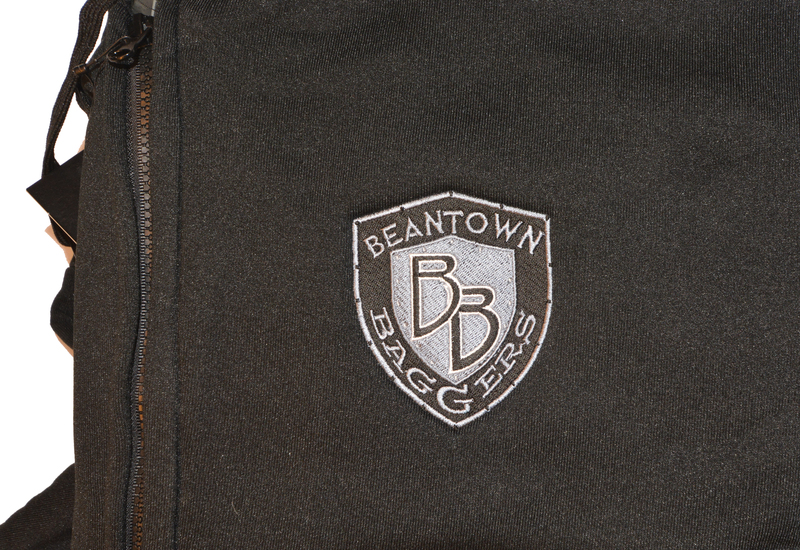 The embroidered Beantown Baggers Stretch logo on the back and embroidered Shield on the front is just the beginning of this shirt. The sleeves are satin lined and the body is fleece lined to make this the best riding hoodie that has probably ever been made. 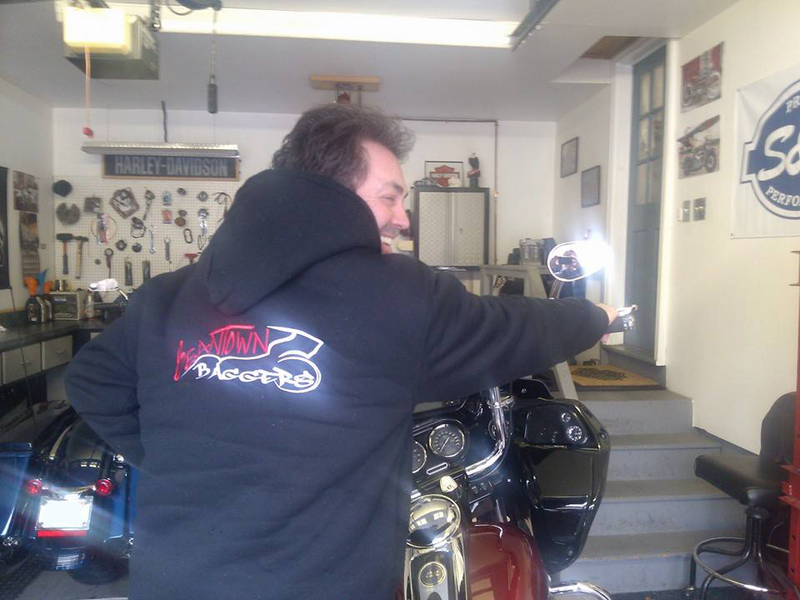 Whether you’re riding in December New England and need a jacket to wear over your leather, or you need that extra layer for chilly summer nights, this is the best hoodie on the market. We want you to know that the quality of these are unbelievable. We have worn many different makes and your jacket/hoodies are the best. Sizes run a little large. Note: the Stretch logo on the back is around 11″ to 12″ depending on the size you order. Received my Jacket on Monday. It’s unbelievable how heavy and warm it is. I am using as my winter coat right now. Love the quality and warmth!! 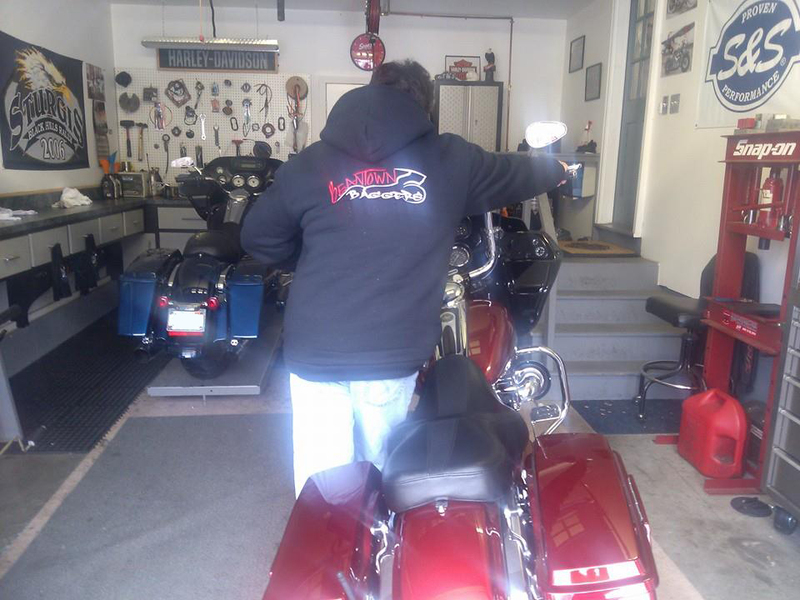 We’re really excited that you love the hoodie – it is important to us that the gear we sell is the best quality and made for riding. We know it isn’t cheap but when we (all) ride we have limited room to pack stuff. 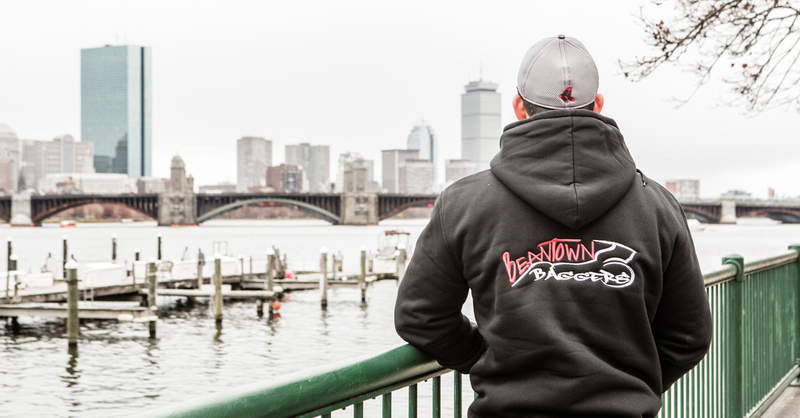 If Beantown Baggers gear is going to earn a spot on your bike trips it had better be the best hoodie you own, otherwise it’s just a waste of space. Pass on the good word and let us know if we can do anything else to help. I’m 6″5 and have long arms but am skinny. Should I go with large or extra large I don’t want the thing to be to wide around my waist and chest, but I have apes and don’t want the wind making it through my wrists to bad? Definitely XL for the arms if you have apes. If you order this morning we can ship this afternoon. Great quality, Very well made. Will be my go to for sure. The 2XL is a bit snug on my 6’5″ 320lb frame, but it’s by no means uncomfortable. Any plans to ever go to 3XL? Happy you like the jacket! We take pride on putting our name on great quality gear. Unfortunately our supplier doesn’t make 3X jackets. 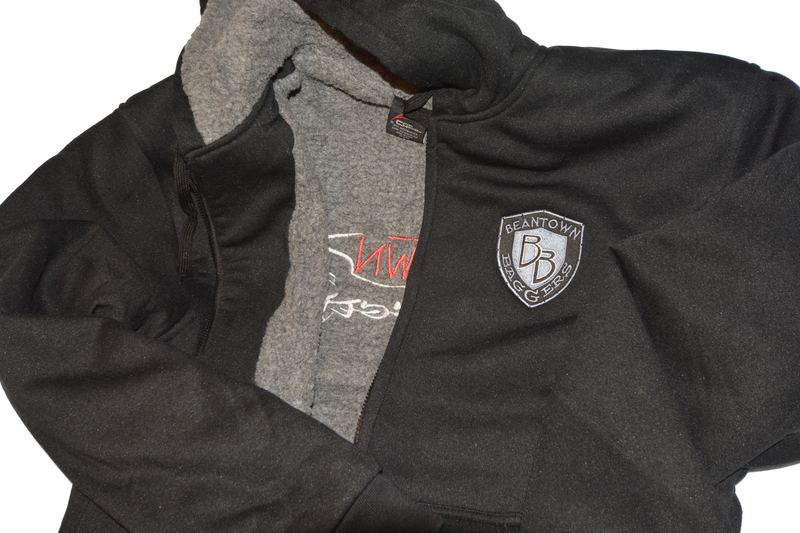 We are working on something for those who fall into the “linebacker large” category and will post when available. How about a 2x size? We actually sold out of 2X for that jacket but have waterproof hoodies coming at the beginning of next week that should have some 2X. If you email is at beantownbaggers@gmail.com we will let you know when they’re in and put not aside.